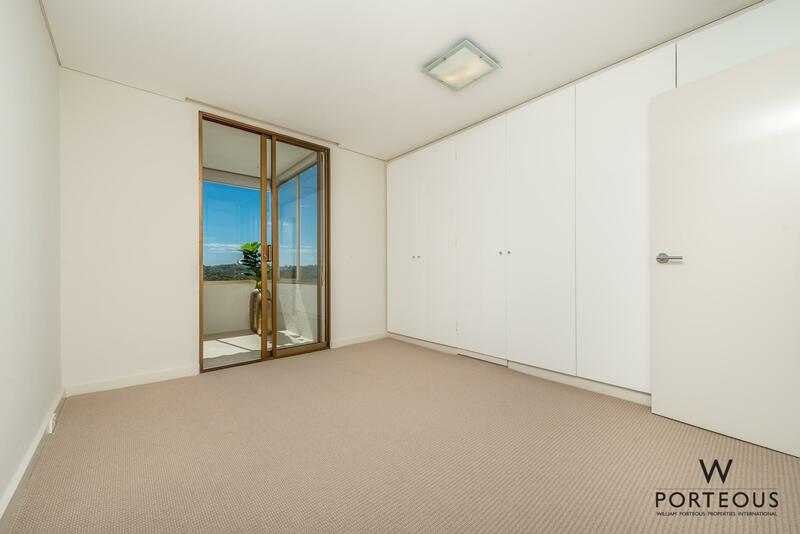 Stunning water, park and city views, a whisper quiet location, a big spacious single level apartment with no common walls conveniently close to everything from the CBD 8 minutes away, to UWA 3 minutes away, the best private and public schools and the heart of the Western Suburbs shopping, restaurants and cafes all on your doorstep. 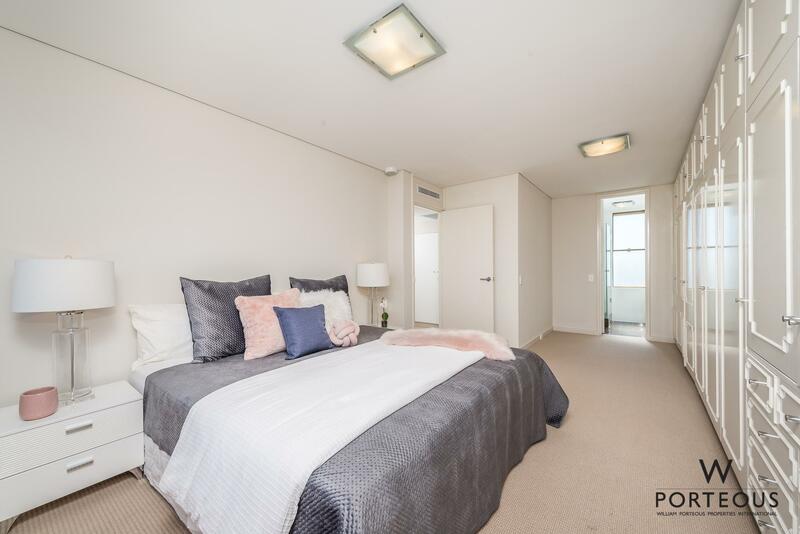 This spectacular 8th floor, HUGE 190sqm, fully newly renovated 3 bedrooms, 2 bathrooms, 3 W.C, double lock up garage apartment is what premium city living is ALL about. Space – Comfort – Views – Convenience – Security. The building has only two apartments per floor, serviced by two lifts. The apartments have no common walls whatsoever and all of the internal walls within the apartment are solid brick. The result is that they are very private and extremely well insulated for sound and temperature. 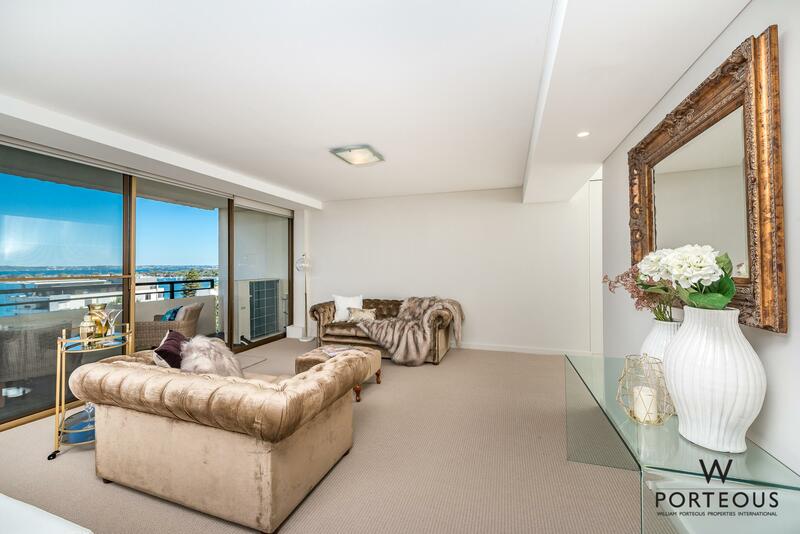 This apartment goes all the way through the building north-south, ensuring you have the best possible river views combined with the best park and city views, creating an amazing sense of light, space, and openness. A full, end to end makeover has just been done. All the hard work is finished. It has brand new everything. Kitchen, bathrooms, laundry, lighting, wall and ceiling finishes, carpets, tiling and window treatments, and ducted reverse cycle air-conditioning. Just place your furniture and hang your pictures. The kitchen is spacious with stone benchtops and finished with a full array of premium German appliances. An oversized door opens into the apartment which then flows around into a huge lounge and dining area. 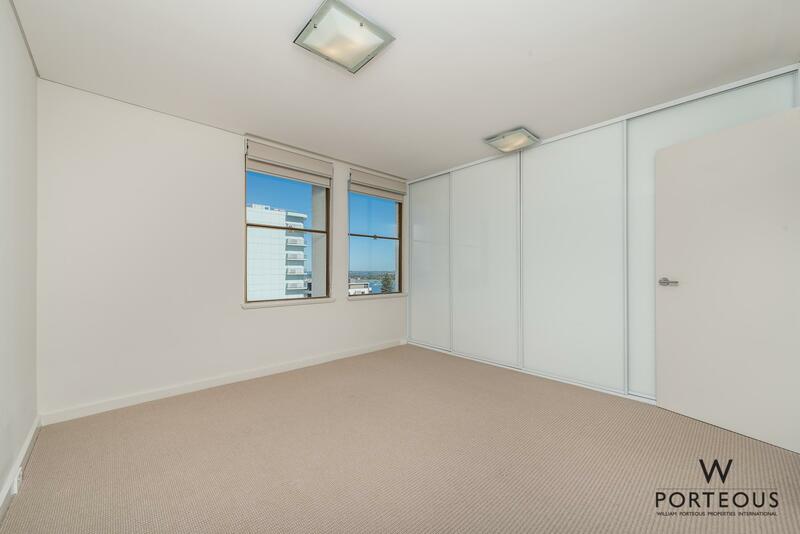 This exceptional space is one of the things for which Strathearn’s apartments are renown. A large well-appointed laundry sits behind the kitchen. There are three queen sized bedrooms, one on the northern side, one on the southern side and the master suite at the eastern end. The northern bedroom has its own semi ensuite bathroom with shower, vanity and W.C. The main bedroom has its own ensuite with shower, vanity and WC, and there is a sperate guests powder room. The lobby was fully renovated in recent years and presents a very stylish entry that is a pleasure to walk into at the end of the day and an ideal place to meet ahead of any occasion. 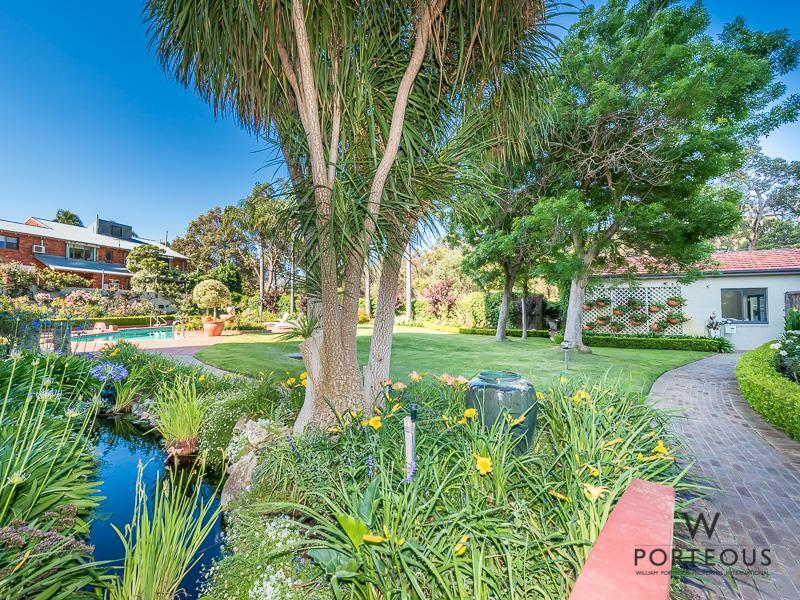 Set on an incredibly large 5,587sqm lot, the garaging is in a secure undercroft basement below the gardens. There are not one but TWO pools – One freshwater the other salt. A gazebo overlooking one of the pools is fitted out with a kitchen and BBQ area. It is ideal for summer parties. A series of manmade streams and ponds are home to a selection of Koi and goldfish. Meandering through the garden is a network of pathways and timber bridges. The lawns offer large open spaces for kids to play, garden parties to spill across and over the warm summer months ahead, for lazing by the pools. There are two huge undercroft storerooms with space allocated to each apartment. The lobby is completely secure with video intercom to your apartment. There is security lighting and video cameras around the entire perimeter of the building and covering the grounds and garaging. Lastly, you are walking distance to the Zamia Caf in the Park for coffee and a fabulous full menu. We highly recommend their breakfasts and lunches! Grocery shopping is incredibly easy with delivery direct to your kitchen benchtop from Coles or Woolworths online shopping. Alternatively, you can choose from fantastic shopping only a few minutes away in Subiaco or Nedlands. This being vacated and mostly unfurnished, the photos really do not do it justice. 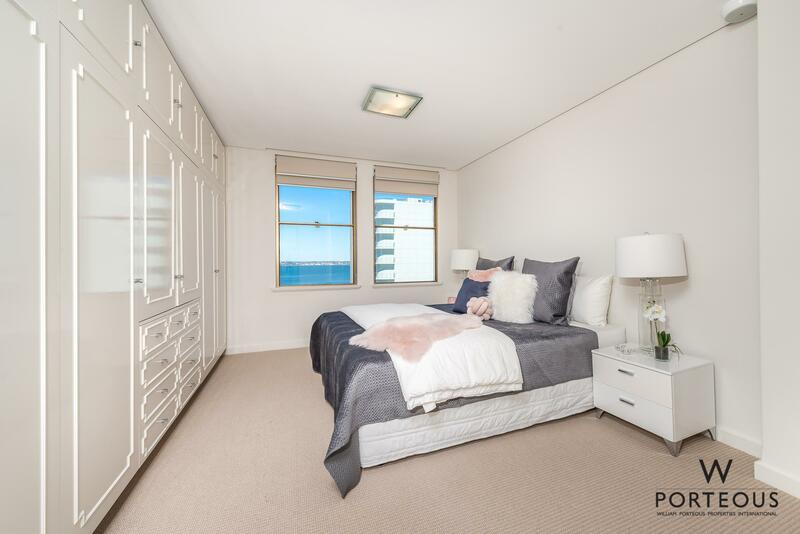 I encourage you to come and see it in person to properly appreciate just how good it is, how generous the rooms are and how well it fits what you’re looking for.